A team of scientists has identified a pair of 100-million-year-old fossilised bird tracks – the oldest ever discovered in Australia. 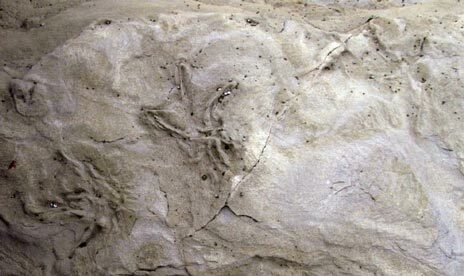 The fossilised tracks, likely made by two individual birds, each the size of a heron, were found at the famous Dinosaur Cove site, approximately 125 miles south-west of Melbourne (Victoria). 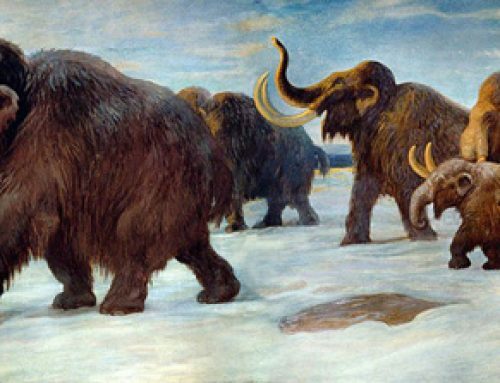 The tracks were discovered as part of a long term project being conducted by a team of scientists including Museum Victoria’s Dr Tom Rich, Dr Patricia Vickers-Rich and Michael Hall from Monash University and Dr Anthony Martin from Emory University in the United States. One of the problems ichnologists have (ichnology is the study of trace fossils, specifically foot prints and tracks), is distinguishing between tri-dactyl dinosaur footprints typically made by members of the Theropoda and those made by birds that lived alongside the Dinosauria. The back toe (hallux) may not leave an impression so it is very difficult to tell the difference between the two. Site reveals trace fossils of ancient birds. Dinosaur Cove has produced a remarkable number of fossil finds over the last forty years or so. This location, in combination with the East Gippsland locations has revealed a diverse assemblage of vertebrate fossils including the dinosaurs Leaellynasaura, Qantassaurus, as well as numerous Theropods, Pterosaurs, fish, giant Labyrinthodont amphibians, turtles and potentially evidence of Ornithomimid dinosaurs – a first for Australia. What is remarkable is that, this part of Australia was at approximately 75 degrees south for much of the Early Cretaceous. The area was covered by extensive polar forests and for nearly two months of the year, the high southerly latitude meant that there was total darkness, with the sun not appearing above the horizon during the winter. In the summer, there were periods of 24-hour daylight. The research team are unsure as to whether these bird tracks were made by residents or migrants that came to the area to exploit the 24-hour feeding opportunity during the summer months. The bird tracks are estimated to be around 105 million years old, making them the oldest evidence uncovered to date of Aves in Australia. 105 million year old bird tracks. Everything Dinosaur would like to thank Museum Victoria for their help in putting together this article.